Robototes Blog: Day 16 & 17...? The blogger was absent these two days. So the blogger could not blog. These days were alike in many ways, and all the details got jumbled, so I'll just summarize the events that went on. Programming on 2015 Ypotrylla's robot brain has continued, and tests with motor movement have been successful. Happy programmers means happy robotics team, and this certainly made our's pleased with the coding. CADing has also been good. 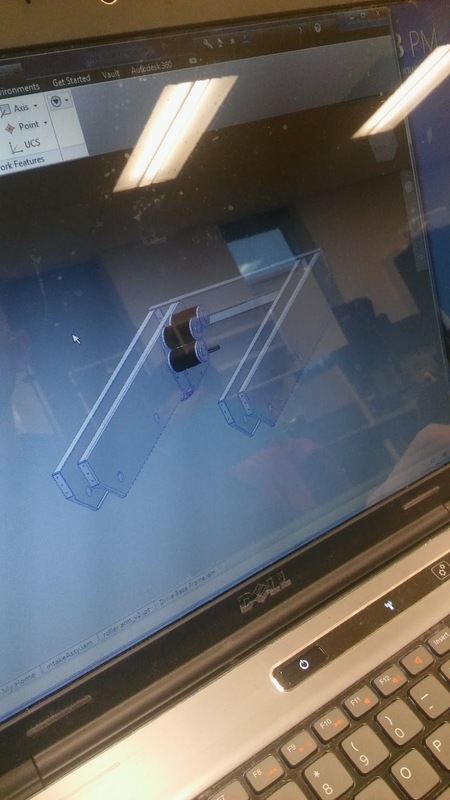 Subteams are working throughout meetings to get their system CADed so we can start machining parts for the robot. Drive base (Left) is mostly CADded, and is waiting on other systems, while refining the design we have. 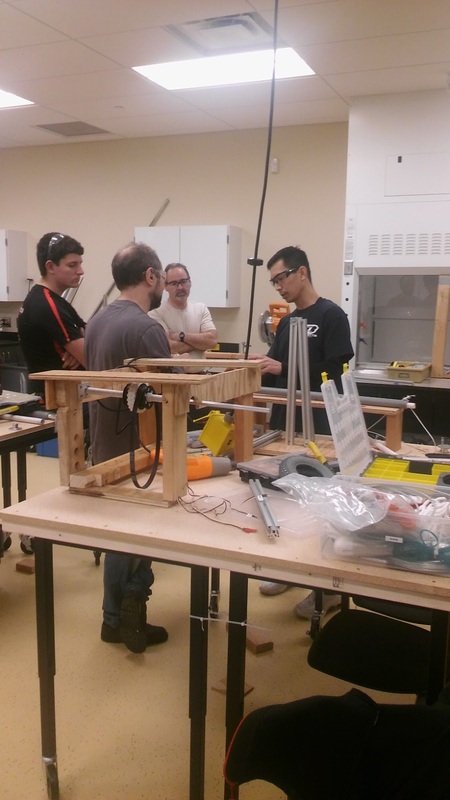 Gearboxes are being worked on, as we have a special element that will work with the climber system. Since most subsystems are finished prototyping, and have moved on to CAD, the only system left is the climber. 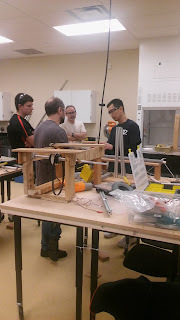 Possibly the most difficult to integrate into the drive base, the sub team worked on solving the problems encountered related to space, how to raise the mechanism, and how to actually climb. While the the blogger(me) was out, some of the team who needed something to do, took to taking apart our 2015 competition robot, Ypotrylla. The Yodeling Pusher Of Totes (and) Recycling containers Yusing (With a Y) Lots (and) Lots (of) Acme. This is what I found when I walked in. 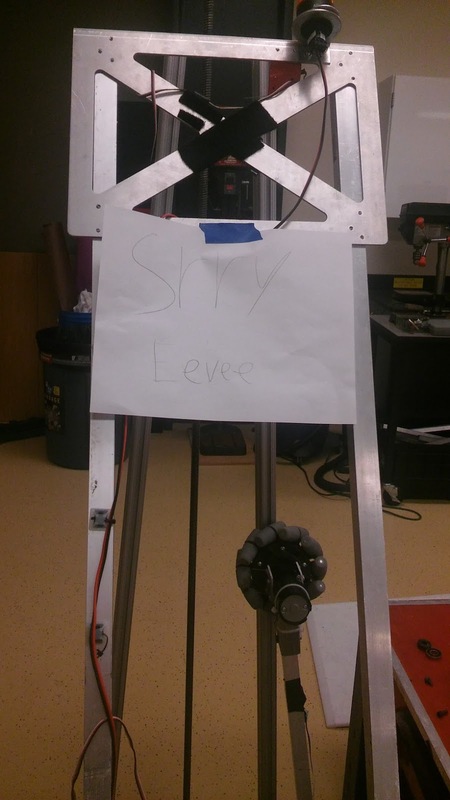 A thoughtful mentor said that her "spirit" will live on in our new robot, (one of them) due to us using some of her electronics board for it.